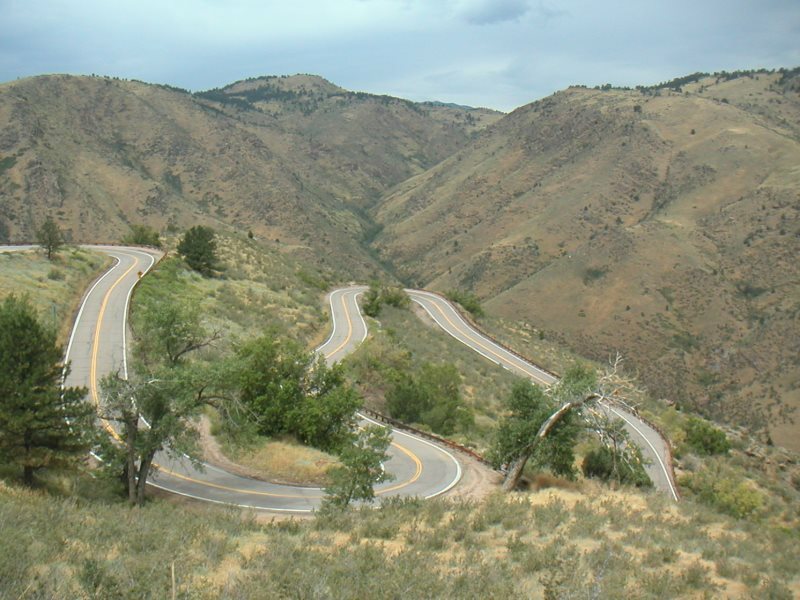 Blacktop Bicycle Tours, run by Gil E., organizes cycling trips in the Colorado Rockies. The tour for advanced riders is called UPnUP and emphasizes climbing rather than distance, covering some serious mountain passes at high altitude. Gil is assisted by Sherri B., a massage therapist. 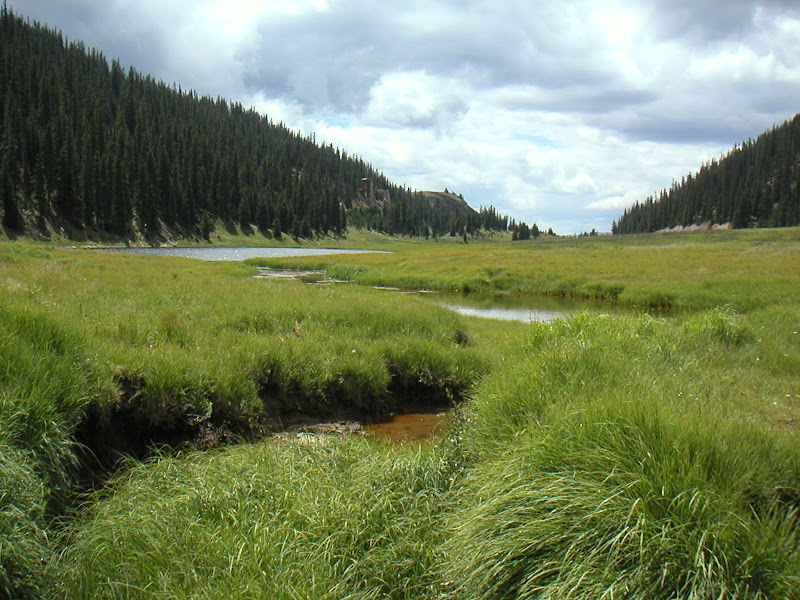 The first day starts and ends in Littleton, located southwest of Denver, and consists of a loop of popular cycling routes through the foothills. 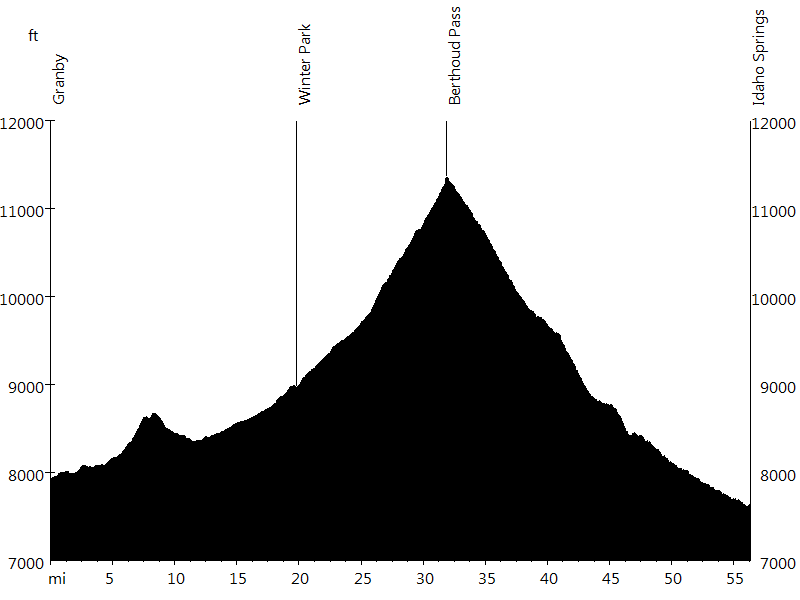 While the distance is shorter and the elevation gain is less than the rest of the days, some of the climbs are the steepest of the entire tour. Day two leads from Littleton to Black Hawk, one of Colorado's gambling towns. 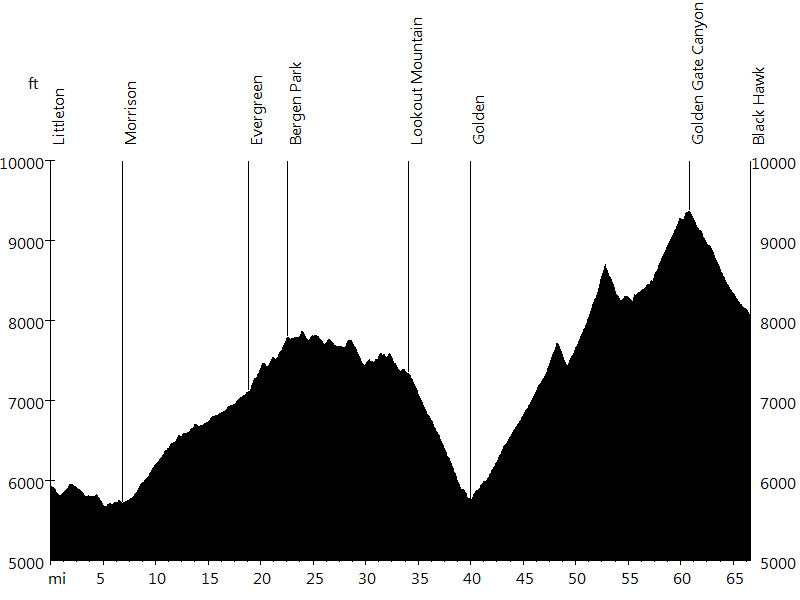 The day includes two major climbs, about 18 miles from Morrison to Bergen Park, and about 18 miles up Golden Gate Canyon. 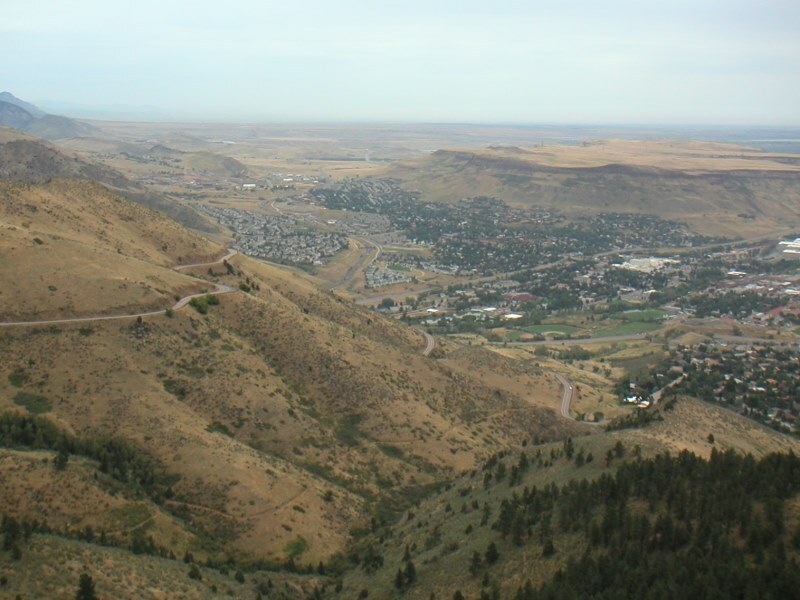 Highlight of this stage is Lookout Mountain with its panoramic descent into Golden, home of the Coors Brewery. Highest elevation attained: 9,368 feet. 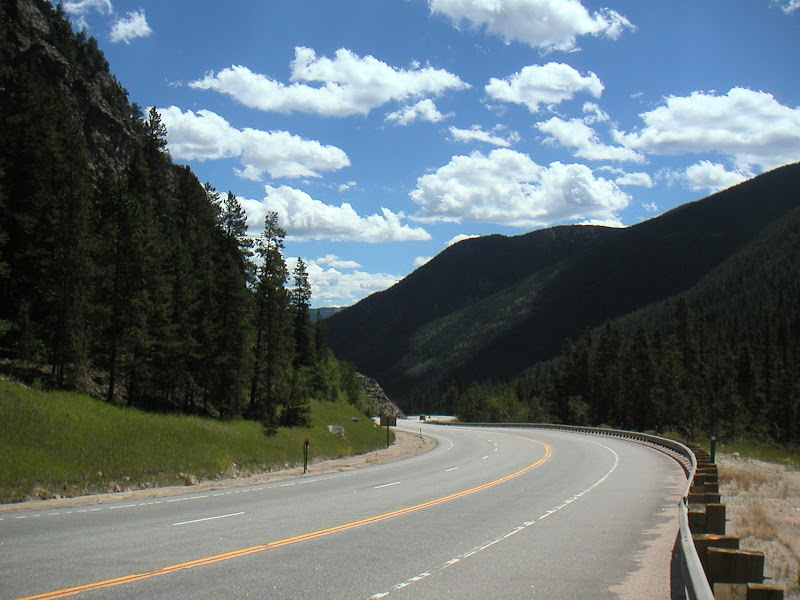 The third day leads from Black Hawk to Estes Park, a popular tourist town. 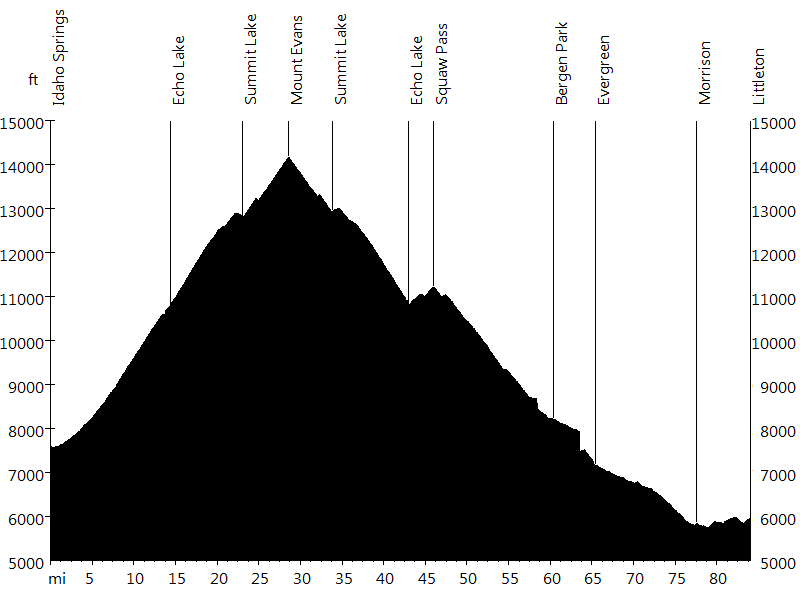 The day includes several shorter climbs. 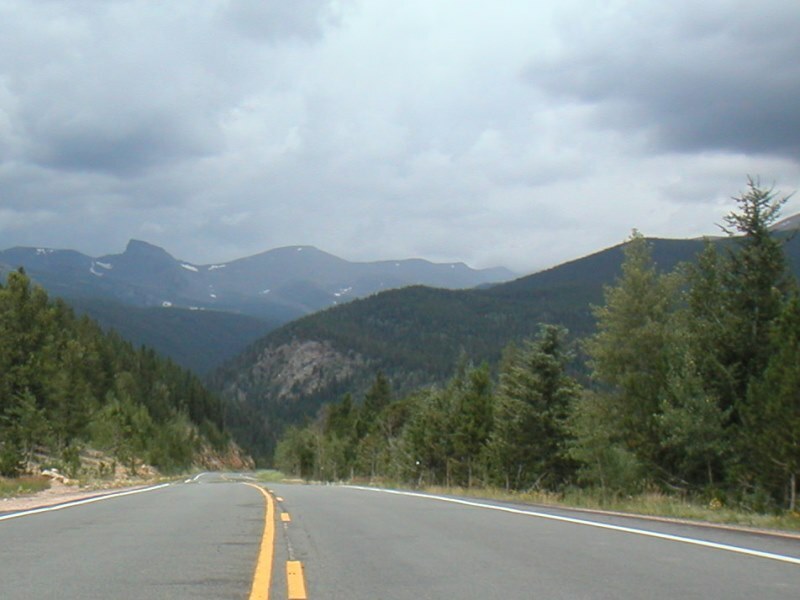 Highlight of this stage is Peak-to-Peak Highway, connecting Golden Gate Canyon State Park in the South with Rocky Mountain National Park in the North. 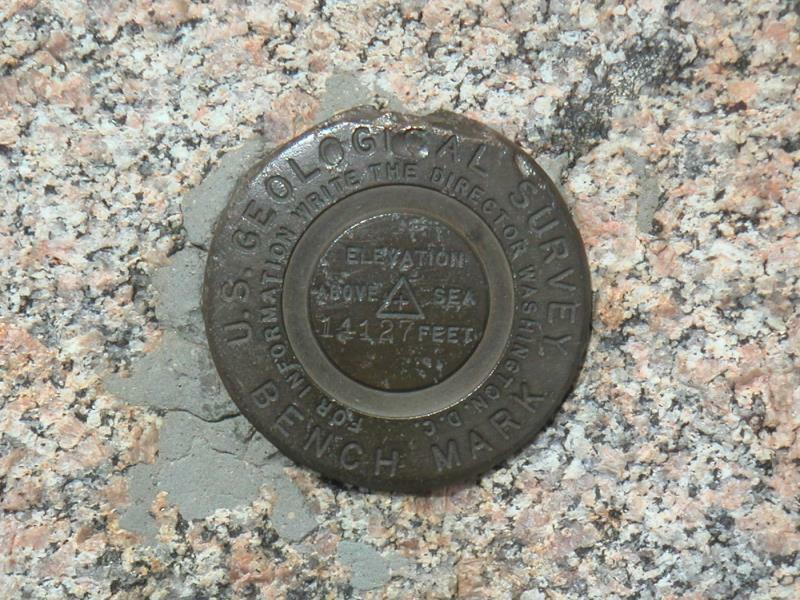 Highest elevation attained: 9,363 feet. Day four leads from Estes Park to Granby, a simple small-town. 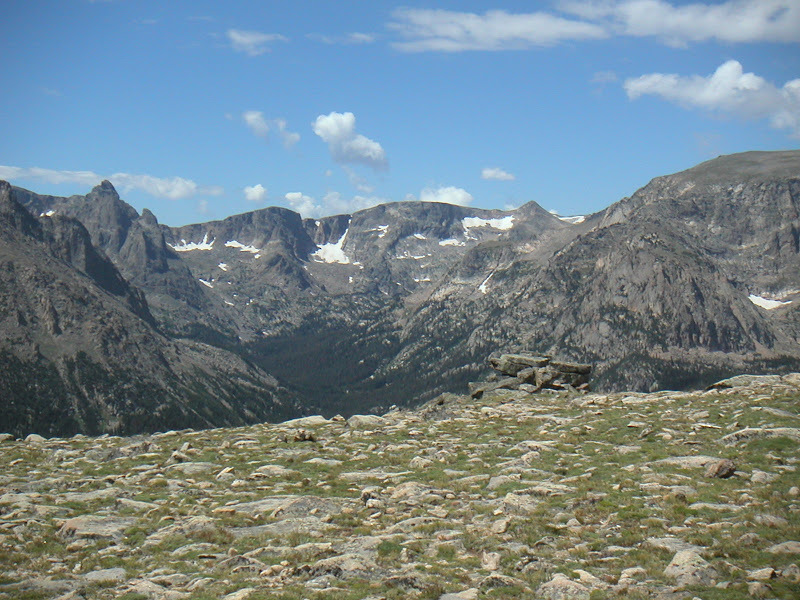 The day includes one major climb, about 20 miles up Trail Ridge Road. 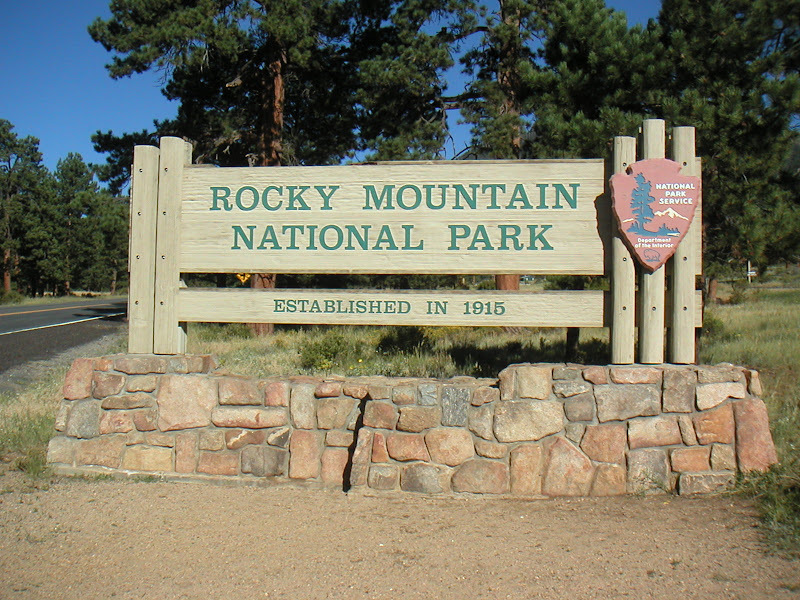 Highlight of this stage is Rocky Mountain National Park with its spectacular views. 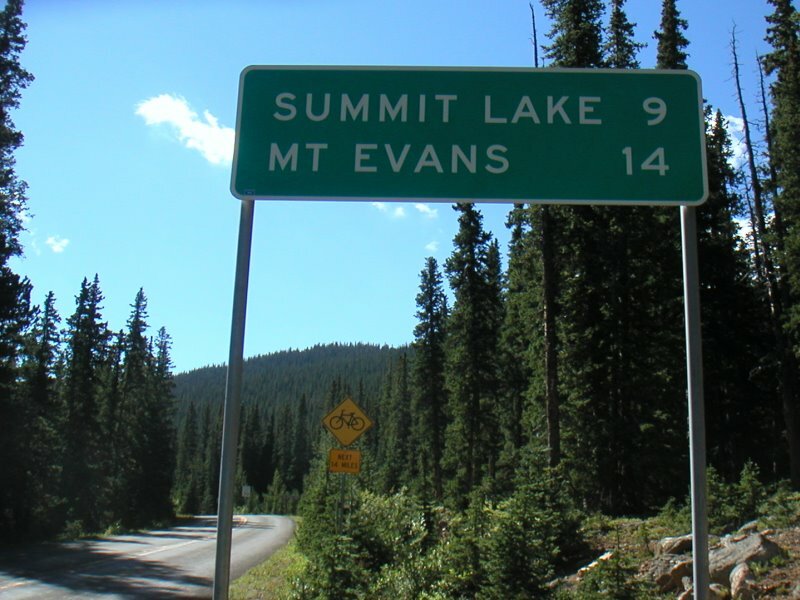 The descent via Milner Pass crosses the Continental Divide. Highest elevation attained: 12,197 feet. 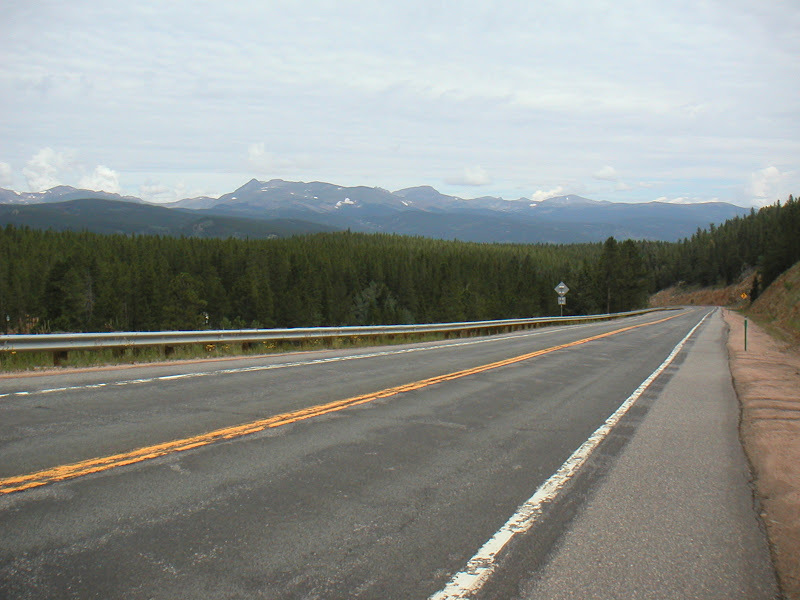 The fifth day leads from Granby to Idaho Springs, another popular tourist town. 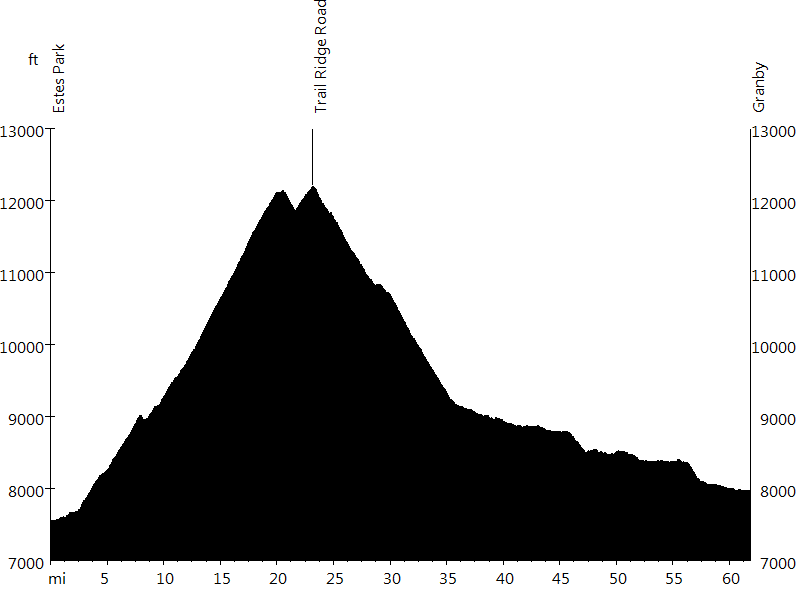 The day includes one major climb, about 20 miles up Berthoud Pass. 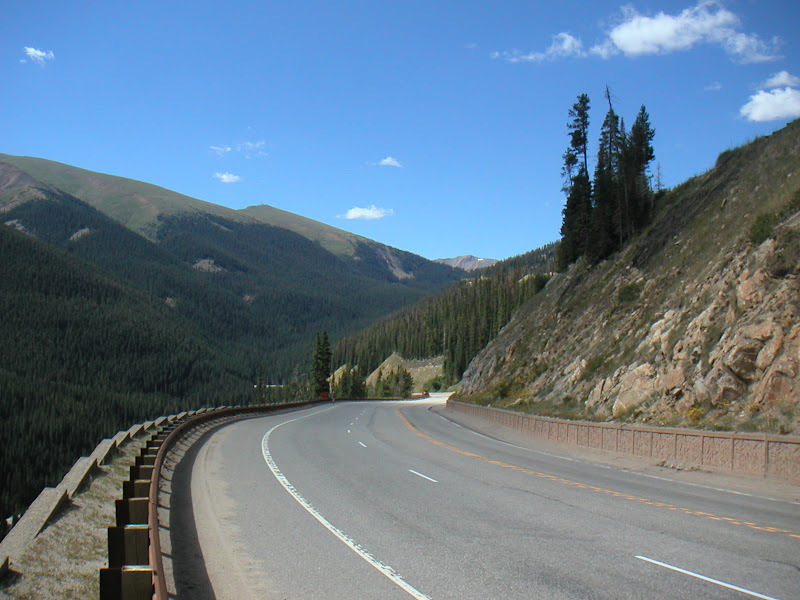 Highlight of this stage is Berthoud Pass, which also crosses the Continental Divide. Highest elevation attained: 11,356 feet. Day six leads from Idaho Springs back to the starting point in Littleton. 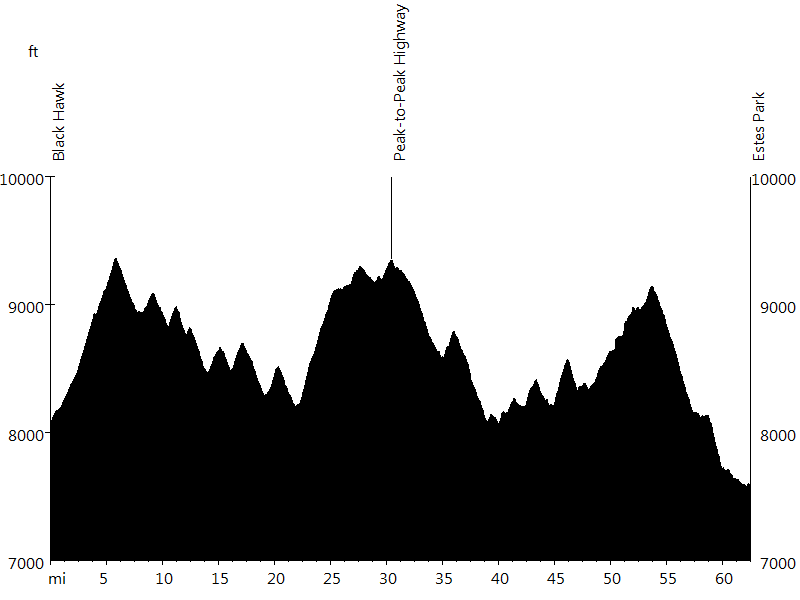 The day includes one major climb, about 28 miles up Mount Evans. 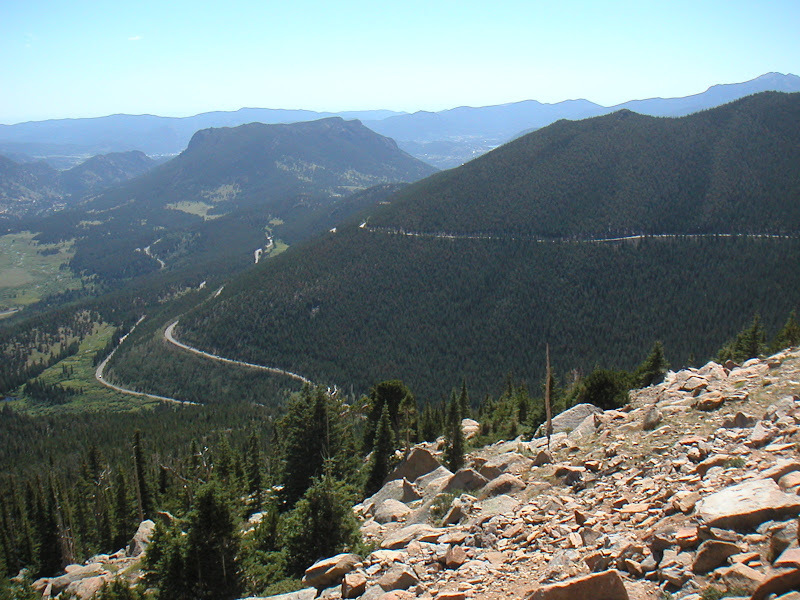 Highlight of this stage is Mount Evans with its stunning views, home of the highest paved road in North America. The descent leads over Squaw Pass. Highest elevation attained: 14,127 feet. We had a nice group, and I frequently rode with Jim and Adam S. from Michigan. Tom Z. from San Clemente was on the ride as well. 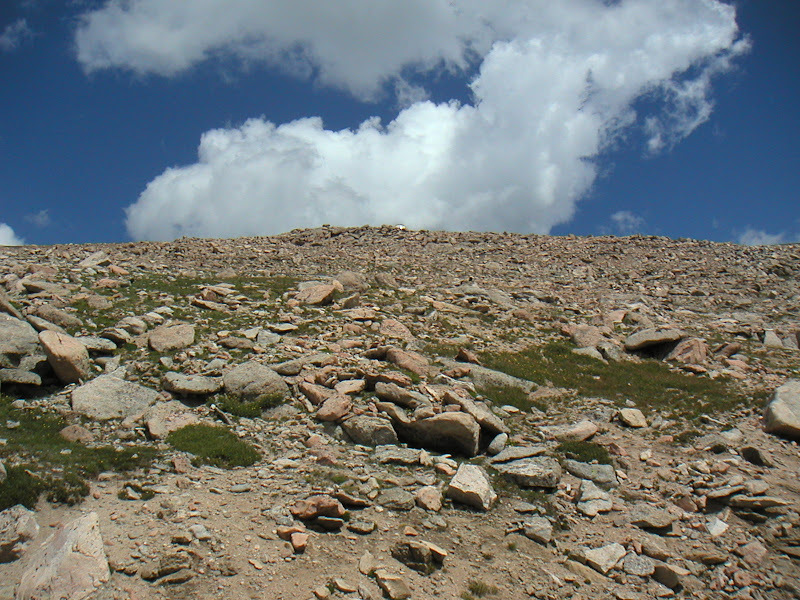 This was my second ascent of Mount Evans in one week.